But what if scientists had discovered the “match” gene and could link you with your one true love via a simple DNA test? The clever people could find this pot’s lid! And what’s more, it’s pretty much guaranteed to fit because Science says so. Hurrah! This is such a brilliant premise for a book and immediately poses the question – would you take the test? It seems like a no-brainer until you get into the various individual lines of this genius story by John Marrs and discover the beautiful complications of love – even by design – can never be eradicated by science. What if your match was on the other side of the world? Or dead? Or a psychopath? I cannot recommend this book enough. It’s a smart, twisted, beautifully written story that you’ll certainly fall in love with, right from the very first page. It’s definitely one of those books where your heart starts to race, you suddenly feel breathless, light-headed, flushed and like it’s meant to be. Almost like you’re MATCHED with it or something? C’mon bookworms, we all know that book-love feeling, right? And if what’s meant for you shouldn’t pass you by, then you really should pick up your copy here. A perfect five cwtches. More please! This is a brilliantly atmospheric novel, with just enough spookiness to keep you intrigued but not so much to scare your pants off. Throw in some romance in a unique location and you’ve got yourself a really lovely book to Cwtch Up with. When her husband walks out, Anna is left to raise their daughter Ava by herself. Recognising that this life-changing moment would have an emotional impact, when Ava starts behaving strangely Anna initially puts it down to the stressful time they’re having. But when Ava starts taking about her “other Mummy” and longing for the place she calls home, Anna starts to seriously question what’s going on inside her little girl’s mind. The setting of Seal Island is described so vividly, you could almost be there and the romance is just lovely. A really cosy read, four cwtches. Get your copy here﻿. This book is beautifully written, touching and packed full of emotion. The heartbreak of miscarriage and its impact on lives and relationships is tenderly depicted through Lucy & Jonah’s marriage. 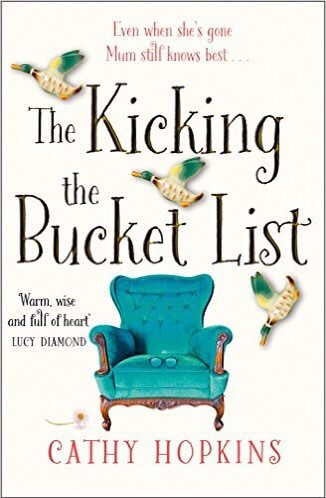 When Jonah’s teenage daughter from a previous relationship comes to stay with them, the pressure becomes all too much to bear and Lucy has to confront the true meaning of motherhood. I love to Cwtch Up with a family drama, it’s the literary equivalent of a hot drink and a blanket. 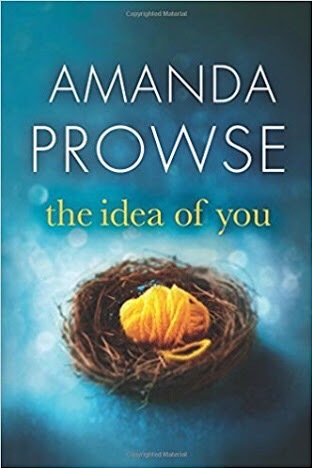 Amanda writes in this genre so brilliantly, I’m a huge fan. Knowing that she herself has personal experience of this particular form of heartbreak makes it an even more poignant and meaningful read. Amanda is writing from her truth and that raw emotion adds such a powerful level of feeling to the story. I can only imagine the pain and heartache women like Lucy go through. Imagining becomes much easier when amazing writers like Amanda describe it so sensitively. An emotionally difficult but important read, five cwtches. Get your copy here. 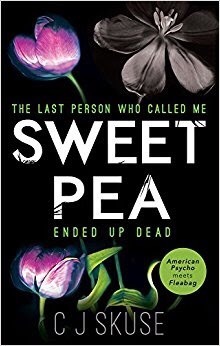 Sweetpea is dark, shocking, witty and absolutely bloody hilarious. I loved it and cannot recommend it enough! Rhiannon has a boyfriend, a dog and a job she hates. So far so everyone. She also makes a daily list of people she’d like to kill. Slow walkers, the guy in Lidl who bruises her apples, drivers with no manners, you know the types. (To be fair, on my own personal psycho days – we all have them – I can totally relate.) The main difference is that Rhiannon ACTUALLY kills people. And she loves it. If you’re easily shocked then perhaps this isn’t for you, but if you like your humour dark with a huge dollop of twisted thoughts and quirky vitriol then you will love this as much as I do. Get your copy here, you definitely won’t regret it. A perfect five cwtches! Can’t decide what book to #CwtchUp with this spring weekend? Thinking of spring cleaning… feel productive from your sofa / garden chair / beneath your duvet. Food Cravings… all the deliciousness without a single calorie. Wish you were at the beach… you can almost hear the seagulls. Dreaming of adventure… without even having to look for your passport. In the mood for romance… swoooooooon. Feel like a good cry… tea & tissues on standby. Fancy a mind-blowing twist…. you’ll never guess the ending. Whatever book you decide to #cwtchup with, here’s to a wonderful long weekend! The Escape is one of those books with such an exciting pace, you have to remind yourself to breathe. The drama is so intense, right from the outset, there are often no gaps for air. You have been warned! How would you feel if a stranger got into your car, handed you a familiar single glove and warned “Look after your daughter’s things…and your daughter”? 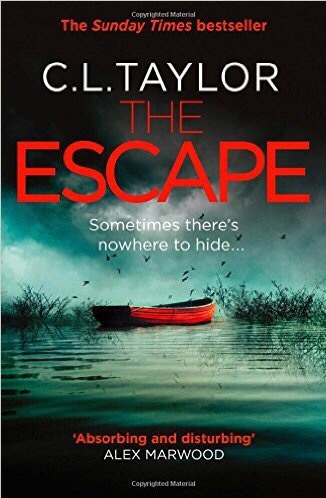 The subtle threat sparks a chain of fear, paranoia & violence and soon it seems no-one believes Jo; the police, her GP, social services, even her own husband Max appears to turn against her as she battles to keep their daughter Elise safe and free from harm. She runs. She hides. She discovers secrets and lies. The journey takes us across the water into Ireland (via Cardiff – favourite bits, we loves a mention – obvs!) where we meet an interesting cast of locals. The question still remains, who can she trust? Without giving anything away, the concluding cliff scenes are possibly some of the most exciting, pacey and exhilarating writing I’ve been totally immersed in for quite a while. I foolishly thought I hadn’t read anything by C L Taylor previously – her voice is so fresh and exciting – but Goodreads tells me otherwise and that I rated The Accident a perfect 5 a couple of years ago. Bravo for book tech! Both are amazing stories, but this one feels very different, which is possibly what threw me. However I haven’t read all of the back catalogue, which is what I now plan to do. Don’t you just love it when you find a new favourite author to fangirl over? A remember-to-breathe five cwtches. Get your copy here. Iris Parker is a badass Mum who leaves a lasting legacy for her three floral-named daughters Fleur, Rose and Daisy when she realises that she is dying and her girls need to be there for each other. In order to claim their inheritance, the girls who have drifted apart over the years, have to spend a weekend together every other month in an attempt to re-establish their relationships. Organised by their late Mum, Iris has it planned down to the finest detail and each meet-up is accompanied by a video message from beyond the grave. This is such a lovely premise to set this story of loss, love, grief and the importance of family. I absolutely adored this book! 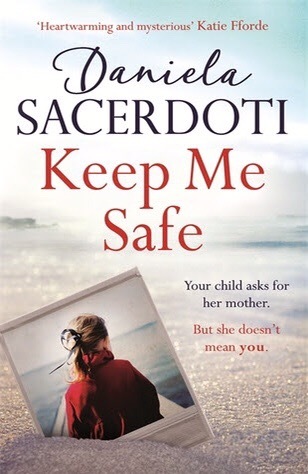 Each of the daughters has their own secrets and watching them deal with the loss of their Mum and slowly reveal these secrets and rebuild their relationships with each other was at times heartwarming and others heartbreaking. I cried more than once and laughed out loud even more. As someone with two sisters I could totally relate to the bickering, banter and closeness like no other. There is also some genuinely helpful life advice from the ultra-wise Ivy; Mum really does know best. Cathy has written this so well! In the spirit of no spoilers I will simply add that I knew he was a douche right from the outset. If you’ve read it, you’ll know who I’m talking about. Psh. Shame on him. This is a truly gorgeous book, a perfect spring read and gets a perfect five cwtches from me. Get it here. Thanks to the lovely publishers for my review copy, you’re lush. The idea of being in a coma and able to hear the world around me but unable to respond to it, is something that absolutely terrifies me. I remember once coming round from general anaesthetic and I could hear the nurses talking about going on a date & one guy was asking if buying flowers was “too much?” I could hear perfectly and inside was screaming “Buy the flowers!” but I couldn’t speak or move. The feeling scared me to death and is the only (tiny comparison!) I can imagine life in a coma to be like. Locked inside your own body; terrifying, frustrating & exhausting. This book is so clever, I absolutely loved it. I didn’t know who to trust or what was actually going on for a large percentage of time but that’s what made it truly brilliant! The “Now” part is told through Amber’s coma-bound thoughts. We get hazy snapshots of snatched conversations between her husband & her sister and slowly start to build the present picture. Amber’s childhood diary gives us additional insight into the history of this complicated, untrustworthy character and frames her relationship with the truth really cleverly. The third strand covers the events immediately leading up to her hospital stay. All three parts come together in such an exciting way to reveal the twisty secrets. 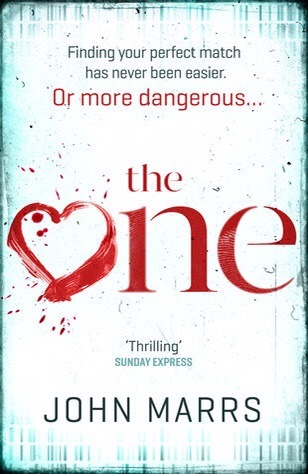 A mindblowing thriller to keep you guessing, unsure of who to trust and with an open jaw when everything finally falls into place. I loved it! A whopping five cwtches. Get your copy here. One late night email notification starts to unravel everything. You’d look, wouldn’t you? If it just flashed up in front of you? 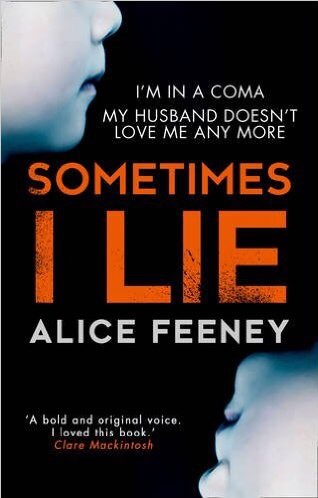 But exactly how far would you go to uncover the truth about the partner you realise you know very little about? This book has so many secrets and lies and twists and turns it made me dizzy. First I loved Rebecca, then I thought she was crazy-loco, then I loved her again, then I started to realise she’s harbouring her own secrets and I wasn’t too sure again….I also had the exact same rollercoaster with Jack. Both characters’ behaviour is really odd and unpredictable at times and I found the uncertainty about who I was rooting for really exciting in this story. Just like Rebecca it made me desperate for answers. Without giving away too much of the plot, I really enjoyed the reveals, I thought they were well-timed to keep you guessing but also keep you reading. I couldn’t resist just one more chapter and I absolutely love that feeling! You’ll learn a bit about Scottish law that perhaps you didn’t know before and you might want to start some low-key background checks just as a precaution. It scared me how much of Jack’s “other life” was able to be buried and adds another level of terror to my already toppling pile of fears around new relationships. Can you ever really know someone? Especially if your new love is saying all the right things? 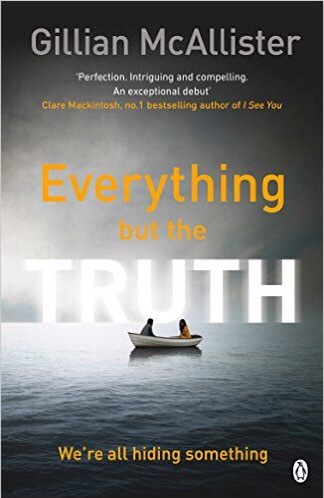 A really twisty read that you’ll whizz through to get to the truth, four cwtches! Thanks to Netgalley & the publishers for the chance to read and review honestly. Get your copy here.